Is inadequate attic insulation in your Greensboro, North Carolina, home costing you money? It could be, especially if you discover an increase in your household’s energy consumption, or you notice that your heating or air conditioning unit never seems to take a break in the effort to keep your home at optimal temperatures. All of these are signs you may need to enhance or replace your attic insulation, and the experts at 31-W Insulation are the professionals you can count on to deliver trustworthy advice, exceptional products, and outstanding installation service. Since 1972, we’ve offered our expertise to thousands of satisfied homeowners throughout the Southeast. You can be completely confident that we have the experience and expertise to help you choose the perfect insulation product for your home, and the highly trained technicians who can install your insulation to ensure peak performance. Additionally, we proudly offer a variety of insulation options such as foam insulation, fiberglass batts, and radiant barrier products, so you can be sure to find the perfect product for your home. 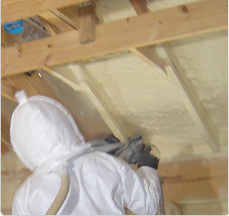 To learn more about the benefits of having adequate attic insulation in your Greensboro, NC, home, contact 31-W Insulation today.